I’ve been writing at Medium.com for the past year. Read this full original post there. In the past year, cities have been prompted to rapidly re-examine the management and regulation of transportation services due to the influx of micromobility. This recent movement has illuminated major opportunities to expand transportation options while highlighting several challenges for widespread adoption and support. In the context of data, the conversation has evolved quite differently from TNCs just a few years ago. 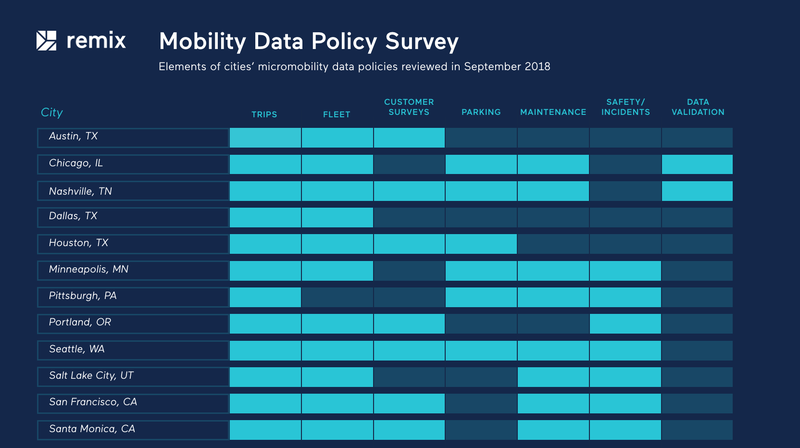 Cities are creating detailed data requirements for operators and are successfully obtaining that information as an input for smarter future transportation plans.